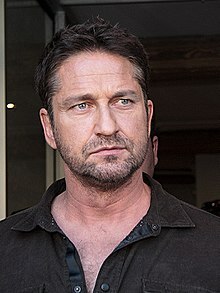 Gerard James Butler (born 13 November 1969) is a Scottish actor, producer, singer and musician. After studying law, Butler turned to acting in the mid-1990s with small roles in productions such as Mrs Brown (1997), the James Bond film Tomorrow Never Dies (1997), and Tale of the Mummy (1998). In 2000, he starred as Dracula in the horror film Dracula 2000 with Christopher Plummer and Jonny Lee Miller. He subsequently played Attila the Hun in the miniseries Attila (2001) and then appeared in the films Reign of Fire with Christian Bale (2002) and Lara Croft: Tomb Raider – The Cradle of Life with Angelina Jolie (2003), before playing André Marek in the adaptation of Michael Crichton's science fiction adventure Timeline (2003). He then was cast as the role of Erik, The Phantom in Joel Schumacher's 2004 film adaptation of the musical The Phantom of the Opera alongside Emmy Rossum. That role earned him a Satellite Award nomination for Best Actor. Not to be confused with Gerald Butler. After studying law, Butler turned to acting in the mid-1990s with small roles in productions such as Mrs Brown (1997), the James Bond film Tomorrow Never Dies (1997), and Tale of the Mummy (1998). In 2000, he starred as Dracula in the horror film Dracula 2000 with Christopher Plummer and Jonny Lee Miller. Although Attila and The Phantom of the Opera were important breaks, it was only in 2007 that Butler gained worldwide recognition for his portrayal of King Leonidas in Zack Snyder's fantasy war film 300. That role earned him nominations for an Empire Award for Best Actor and a Saturn Award for Best Actor and a win for MTV Movie Award for Best Fight. In the 2010s, he voiced the role of Stoick the Vast in the animated action-fantasy film How to Train Your Dragon, a role he later reprised in Legend of the Boneknapper Dragon (2010), Gift of the Night Fury (2011), How to Train Your Dragon 2 (2014), and How to Train Your Dragon: The Hidden World (2019). He played military leader Tullus Aufidius in the 2011 film Coriolanus, a modernized adaptation of Shakespeare's tragedy of the same name. He also played Sam Childers in the 2011 action biopic Machine Gun Preacher. Gerard James Butler was born on 13 November 1969 in Paisley, Renfrewshire, Scotland, the youngest of three children of Margaret and Edward Butler, a bookmaker. He is from a Catholic family of Irish descent. Butler's family moved to Montreal, Quebec, when he was six months old. When her marriage broke down, his mother left Quebec and returned to Scotland with baby Gerard aged 18 months. Butler was head boy at St Mirin's & St Margaret's High School in Paisley and won a place at University of Glasgow School of Law. He also attended Scottish Youth Theatre while a teenager. Butler did not see his father again until he was 16 years old, when Edward Butler called to meet him at a Glasgow restaurant. After this meeting, Butler cried for hours, and recalled later: "That emotion showed me how much pain can sit in this body of yours; pain and sorrow that you don’t know you have until it is unleashed." Butler became close to his father after this reunion. During his time as a student, he was the President of the university law society, a position Butler later said he "kind of blagged my way into". He also sang in a rock band called Speed. While Butler was a 22-year-old student, his father was diagnosed with cancer and died. He said of this period in his life: "I had gone from a 16-year-old who couldn't wait to grasp life to a 22-year-old who didn't care if he died in his sleep." Before his final year of law school, Butler took a year off to live in California. He mostly lived in Venice Beach, working at different jobs, travelling often, and, according to him, drinking heavily, at one point being arrested for alcohol-related disorderly conduct. Butler later described this year as, "I was out of control, and justifying it with this idea that 'I'm young, this is life. This is me just being boisterous." After his time off in America, he returned to Scotland to take his final year at law school. Butler had an ear surgery when he was a child that left him with a mangled ear. He still suffers from tinnitus and is hard of hearing in his right ear. Upon graduation, he took a position as a trainee lawyer at an Edinburgh law firm. However, he continued to stay out late drinking and he frequently missed work because of this. One week before he qualified as a lawyer, he was fired. At the age of 25, and an unqualified lawyer, Butler moved to London to pursue his dream of becoming famous. He admitted, "When I started out, I'm not sure I was actually in it for the right reasons. I wanted very much to be famous." Unable to win any acting roles initially, he worked in a variety of jobs including as a waiter, a telemarketer and a demonstrator of how toys work at fairs. Whilst in London, he met an old friend from his teenage days in the Scottish Youth Theatre, who was now a London casting director. At that time, he was her boyfriend and her assistant. She took him to an audition for Steven Berkoff's play of Coriolanus. The director said of Butler's audition, "When he read, he had such vigour and enthusiasm—so much that it made the other actors seem limp—that I decided to cast him in the ensemble." He then appeared in Reign of Fire (2002) as Creedy and Lara Croft: Tomb Raider – The Cradle of Life (2003) as Terry Sheridan, alongside Angelina Jolie. In the role of Andre Marek in the big-screen adaptation of Michael Crichton's novel Timeline (2003), Butler played an archaeologist who was sent back in time with a team of students to rescue a colleague. In 2003, director Joel Schumacher was deciding on the principal casting for the film The Phantom of the Opera, a film adaptation of the Andrew Lloyd Webber musical of the same name, and thought of Butler, whom he had seen earlier in the film Dracula 2000, to play the title character. Butler, who had had no musical experience other than singing in a rock band while he was studying to be a lawyer, was surprised at the interest, but immediately began taking singing lessons with a vocal coach. He then did an acting audition with Schumacher, and a singing audition with Lloyd Webber, both of whom were impressed by his performance. The film, and Butler's performance, received mixed reviews, though Butler was nominated for a Satellite Award for Best Actor. In 2006, he starred as Spartan King Leonidas in the Warner Bros. production 300, which is often described as his breakthrough role. Butler, who said he "wanted to look really strong" in the film, trained with a high-intensity workout for four months prior to the film's shooting. In 2007, he appeared in Butterfly on a Wheel co-starring Pierce Brosnan and Maria Bello, which aired on network TV under the title Shattered, and in the romantic comedy P.S. I Love You with Hilary Swank. In 2008, he appeared in Nim's Island and RocknRolla. In 2009, he starred in the Mark Neveldine/Brian Taylor film Gamer, The Ugly Truth and Law Abiding Citizen, which he also co-produced. In 2010 he starred in the action/comedy The Bounty Hunter with Jennifer Aniston, and did a voice-over for the 2010 animated film How to Train Your Dragon as Stoick the Vast. As of August 2011[update], Butler, while filming Playing for Keeps, was writing songs and in the process of recording an album. He disavowed gossip reports that Marilyn Manson and Johnny Depp had advised him on the project. On 18 December that year, while filming Chasing Mavericks, Butler was hospitalised after he was pulled under big waves. Subsequently, he was taken to Stanford University Medical Center and later released. Butler starred in the action thriller Olympus Has Fallen (2013), opposite co-stars Aaron Eckhart and Morgan Freeman. Butler said he broke two bones in his neck while shooting the film, but did not realise this until he had an MRI scan. Butler reprised his voice role as Stoick in How to Train Your Dragon 2 in 2014. Two years later, Butler had the leading role in the Olympus Has Fallen sequel London Has Fallen and also portrayed Set in Gods of Egypt. Late in 2018, Butler played as the star submarine captain, Commander Joe Glass of the USS Arkansas, a Virginia class nuclear submarine. Since October 2011, Butler has divided his time between Los Angeles and Glasgow. He has reportedly expressed an interest in buying a Scottish castle. Butler has stated in interviews that he does not drink alcohol. In February 2012, it was announced that he had completed a course of treatment for substance abuse of painkillers at a rehabilitation facility. This was after he was concerned he had become too reliant on prescribed pain medication, which escalated when he was involved in a surfing incident while filming Chasing Mavericks. In 2011 Butler played in a charity match for Celtic F.C., a football club he has supported since childhood. A year later he would represent Celtic in a Hollywood film, starring as a "has-been" player in Playing for Keeps. In August 2013, he bought an equity stake in the Jamaica Tallawahs cricket team, which forms part of the Limacol Caribbean Premier League (CPL). Butler has been a supporter of the charity Mary's Meals since 2010. He visited the international development charity's programme in Liberia in 2014. In 2018 Butler attended a fundraiser gala organised by Friends of the Israel Defense Forces (FIDF), which raised $60 million for the Israel Defence Forces. In November 2018, Butler's home was destroyed in the Woolsey Fire. The actor posted video of the damage on social media. 1 2 3 4 "300 Things We Didn't Know About Gerard Butler". Esquire.com. 13 June 2009. Archived from the original on 30 March 2010. Retrieved 9 June 2010. ↑ "Drawn Together: Gerard Butler & Craig Ferguson". Cineplex Movie Blog. 15 March 2010. Archived from the original on 23 March 2010. Retrieved 24 April 2010. ↑ "Gerard Butler: 'Why I am still single'". Now Magazine. Archived from the original on 30 March 2015. Retrieved 25 February 2015. ↑ "Gerard Butler". mysticbliss.net. Archived from the original on 17 December 2006. Retrieved 24 April 2010. ↑ Daily News. 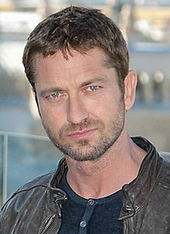 "Gerard Butler breaks the mold Archived 4 March 2010 at the Wayback Machine"
↑ Hedegaard, Erik (April 2010). "Gerry the Sinner, Gerry the Saint". Men's Journal. Archived from the original on 20 July 2013. Retrieved 1 February 2013. ↑ "Actor Gerard Butler and His Hearing Loss". deafhh.com. 11 March 2010. Retrieved 24 May 2018. ↑ "Lionsgate Picks Up "Butterfly on a Wheel"". About.com. Archived from the original on 5 April 2015. Retrieved 25 February 2015. ↑ "Marilyn Manson advises Gerard Butler on becoming a rock star". NME. Retrieved 3 September 2012. ↑ Melvin, Joshua (19 December 2011). "Actor Gerard Butler OK after getting held underwater by waves at Mavericks". The Mercury News. San Jose, California: Bay Area News Group. Retrieved 7 May 2012. ↑ Mary's Meals (20 December 2013). "Gerard Butler in Liberia with Mary's Meals". Retrieved 4 January 2017 – via YouTube. ↑ Sippell, Margeaux (2 November 2018). "Friends of the Israel Defense Forces Gala Raises Record $60 Million for Soldiers". ↑ "Actor Gerard Butler's home destroyed by California wildfire". BBC.com. 12 November 2018. Retrieved 12 November 2018. ↑ "9th Annual Film Awards (2004) - Online Film & Television Association". www.oftaawards.com. Retrieved 30 July 2018. ↑ Prouser, Fred (2007). "Actor Gerard Butler accepts the best fight award he won for his role in the film '300' at the 2007 MTV Movie Awards in Los Angeles". Adobe Stock. Adobe Inc. Retrieved 20 January 2019. ↑ "7th AnnualTaurus World Stunt Awards - Arrivals". Zimbio.com. Livingly Media, Inc. 20 May 2007. Retrieved 20 January 2019. ↑ Memminger, Claudia (24 April 2007). "Taurus World Stunt Awards 2007: Hollywood ehrt seine Ausnahme-Athleten". Presse Portal (in German). Retrieved 20 January 2019.